On this day that celebrates the publication of Jane Austen’s Pride and Prejudice 200 years ago, I asked members of our JASNA-Vermont region to share a few words on what their “first impressions” were on reading Austen’s “light, bright and sparkling … own darling Child.” I will be posting throughout this year a number of thoughts on Pride and Prejudice, but today it seems more important to see what this book has done for so many of us across years and generations, how some of us moved from a force-fed dislike to just plain awe, how some of us recall that first reading as feeling the earth shift, how multiple readings have enlarged our life in immeasurable ways. 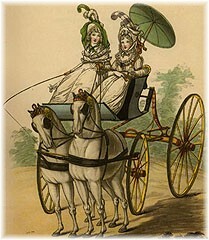 I love Jane Austen, and even I am nearly exhausted with all the hoopla about this 200th bicentenary! – numerous new books on Austen and a number specific to this work; journals and newspapers from all corners of the earth have published articles; blogs, twitter and facebook abound in it; there are special websites, conferences, festivals – I must assume that the non-Austen folk out there are quite sick of it! But the one thing I am most enjoying is the slow re-read of Pride and Prejudice in the quiet of my study – no movies, no scholarly interpretations, no internet babblings – I just want to go back to Jane Austen and closely look at every word, every sly comment, every character brought to life on the page, every laugh-out-loud moment – and try to remember the first time I read her, a teenager lost in the corner of a library discovering the beauties of the English language from such a pen as Miss Austen’s…. I was in the middle of Spring final exams, my third year at the City College of New York when I read Pride & Prejudice for the first time. I turned to it for relief because my exams were felt endless and relentless and I was desperate to read something, anything which wasn’t school work. I had fallen in love with Jane Eyre at age 16 and I was aware of the name Jane Austen. 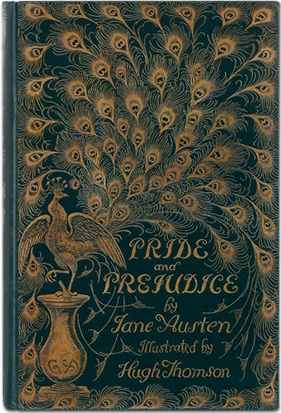 The phrase ‘pride and prejudice,’ was like ‘war and peace,’ an esteemed part of the language. Around the corner from where I lived there was a warm, dark paneled public library called The Ottendorfer; it was either an old mansion or had been built to look and feel like an old mansion. So there I went, found Pride & Prejudice and was hooked from the first line. In this first reading I saw the world completely as Elizabeth was seeing it. This meant that when Wickham told the story that outraged Elizabeth I heard it as she heard it, with outrage. Farther on in the novel I was as shocked as she was when I learned that Wickham was a liar and a scoundrel. My exams were finally over, a year later I graduated and life happened. When I next picked up Pride & Prejudice – many years later – I understood with some sadness that I could never again read it with that unconscious merging naivete. I didn’t read Pride and Prejudice until I was 40, more than a decade after finishing everything Georgette Heyer had written. 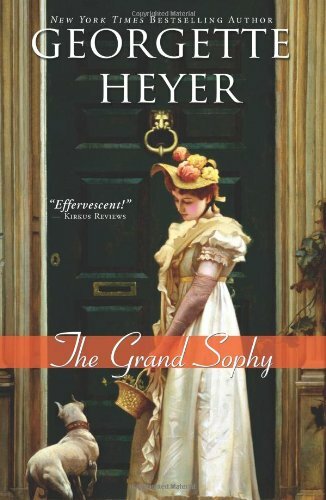 I had been enchanted with the words and manners of Heyer’s characters, often thinking that I might have been quite content to live in their society. And with Heyer I could always count on laughing out loud. In desperation when there were no Heyers left, I even tried writing my own, but got only half way through the second chapter. 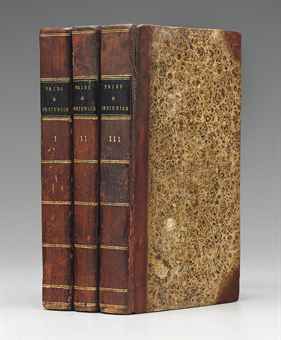 Collecting books has always seemed the most natural thing for me and I bought a three-volume set of Austen along with a similar set of Bronte, thinking I couldn’t go wrong with something routinely labeled a classic. Trying a Bronte first, all six were immediately relegated to a distant corner of my brain if not a distant corner of my library. I don’t remember what prompted me, years later, to finally reach for Pride and Prejudice, but I knew on page one that it was perfect. Heyer had been only an appetizer; this was Christmas dinner. As they say, life begins at 40! Now, more than 20 years further along, I’ve discovered happily that I’ve forgotten enough of Georgette Heyer’s books to reread them with pleasure. But the real magic is that I don’t have to wait until I forget a plot to reread Jane Austen. I can start right over again and slip comfortably into a world I know well and always find a new delight. And I’m still laughing out loud. I believe I first read P&P in 1996. I had watched P&P 95 on video, as well as the movies for S&S and Emma. Alas, I can’t remember which came first. 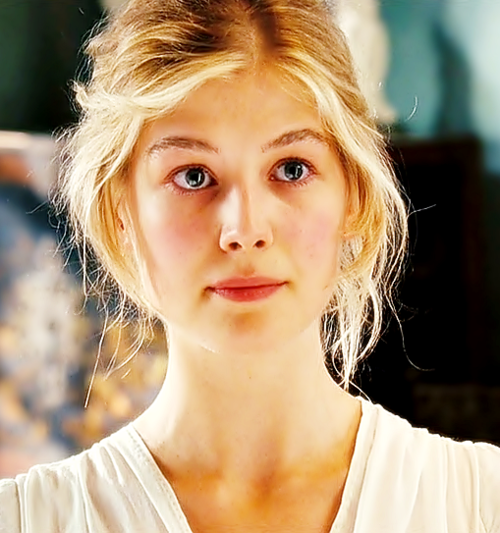 I love sweet Jane Bennet, especially when played by Rosamund Pike in 2005. 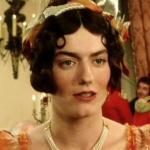 I wish I could be a 10th as good as sweet Jane Bennet. Pride and Prejudice has provided ongoing lessons in my life. I am seeking yet another lesson from this story. I met someone recently, and my first impression of this person was very unsettling. I found myself quick to judge and assumed things about the person, due to behavior I observed. I am seeking ways to better understand this person, who may be an extended part of my life for a long time. Being open to possibilities of accepting his person will take time and understanding. The following exchanges from the book give me hope that my first impressions may not remain as they are, at present. “Elizabeth almost stared at her. “Can this be Mr. Darcy!” thought she. A few pages later in the book, Mr. Darcy returned home a day early, and encountered Elizabeth, her aunt, and uncle, on the grounds at Pemberley. Darcy held his composure and spoke kindly with the party. Elizabeth was overwhelmed after the initial meeting. I’m hoping for greater understanding in this new relationship. I first read P&P at a time when I could be said to have been “on the marriage mart”—I had just graduated from college and was deciding where to go from there. My mother was no Mrs. Bennet, but still the push to marry young (coming not so much from her as from the social standards of the time) was strong. 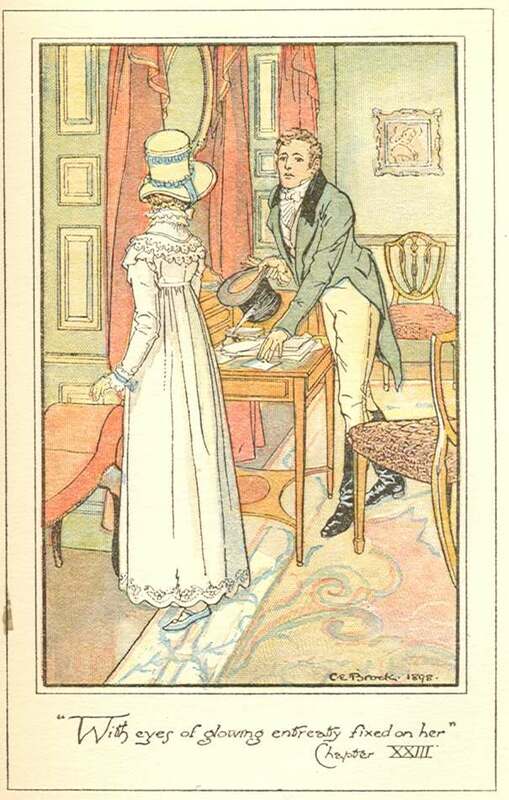 As I saw it, the two main approaches outlined in the book were 1) Elizabeth Bennet’s, in which a woman holds to her own views and doesn’t dismiss her feelings or trim her remarks and actions to fit the goal of catching (tricking actually) and marrying the most eligible man of her acquaintance whether she likes him or not, and would much rather be a despised spinster than to settle for a marriage void of love and respect; and 2) Caroline Bingley’s, in which a woman tracks, traps, and bags her prize using whatever means necessary, with no thought given to the probability that she’s also trapping herself in a lifetime of mutual loathing between herself and the man whose proposal she’s so desperate to win. Integrity versus flattery and deceit. Two extremes, sure, but the contrast is a helpful reminder when navigating among the shoals on the way to finding a life partner—or indeed when working toward any kind of goal. I first ready P&P in 10th grade English class for a book report…my teacher had recommended it to me. I don’t remember much from that first reading, except that I did enjoy it. I’ll be giving away my age, but that was in the 1960’s. In 1992, we moved just outside London for about 2 years, and I stopped in the local bookshop for something to read. I prefer better literature, and they had a display of all of Jane Austen’s works. 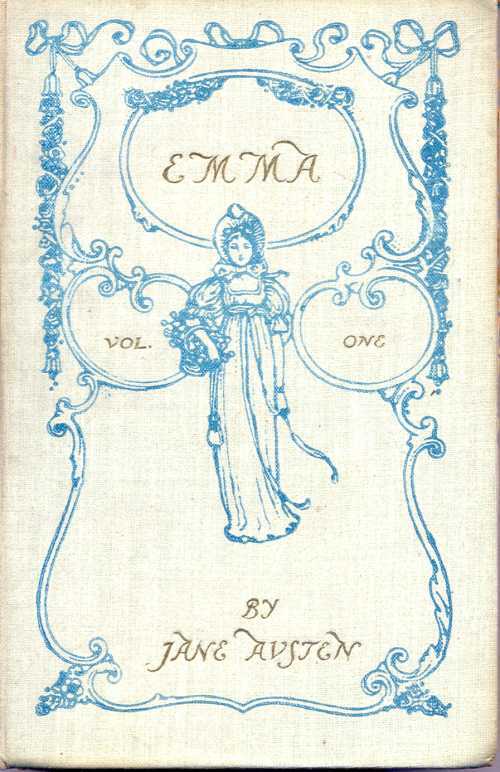 I remember thinking that I had enjoyed P&P, but I chose Emma, not knowing anything about it. I couldn’t put it down and read it so fast, I turned right around and read it a second time in 2 days, much slower the 2nd time. Then I chose Persuasion, and then the rest of the novels, and love some of the stories in the book of her juvenilia. I love her History of England! I couldn’t get enough of them and have since read all them at least 3 times and get something new from them every time. I was able to visit Chawton, Lyme Regis, and Winchester Cathedral. I’ll always cherish my time in England. Living there certainly has given me new insight into the locations of Jane’s novels. Now I keep the books in various places around the house so I can always pick one up to read again or peruse my favorite passages. In P&P, my favorite part is when Elizabeth is reading Mr. Darcy’s letter and the descriptions as she realizes she’s made a big mistake and is starting to change her mind. I find that an incredible piece of writing. Pride & Prejudice was the first high school play I was in at a small Catholic academy for girls on the upper east side in NYC. There were 20 students each class, total 80 students in the high school. It was in my freshman year and it was the play before Christmas. The year was 1956 and I was 13 years old. Although the stage was small, the production was opulent enough. I had a non-speaking role as a minuet dancer at an assembly. 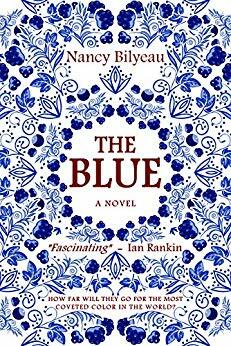 I wore a perruque, a beautiful blue ball gown, carried a reticule and sported a beauty spot. 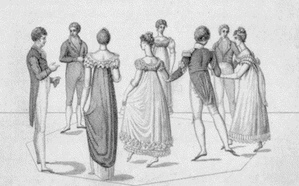 My partner was another girl in white stockings, silk breeches and waistcoat and dancing slippers. We wore lots of makeup which was professionally applied. It was a complete minuet lasting several minutes. I enjoyed rehearsals immensely and we dazzled the audience. We had only two performances. Did we have an audience as we stood on the subway train dressed in our blue uniforms, white blouses, white gloves, blue, ground gripper shoes and blue hats? I don’t remember because I was so transfixed by what Elizabeth said and how Sheila’s skin changed color from pale to pink as she spoke the lines so forcefully. That following summer I would read P&P for the first time, but nothing can compare to the full dose of Elizabeth Bennet given to me by a senior girl whom I stood in awe of and who befriended me so kindly albeit with a good dose of arch humor. I found Pride and Prejudice in a local bookstore when I was in high school. It was my first reading of Austen, and I soon decided that this book was different. From that reading, I have been in awe of Austen’s ability to create characters. What stood out for me as a teenager was the description of Elizabeth’s dawning self-awareness over many chapters. At the mid-point of the novel, for example, she must grapple with Mr. Darcy’s letter: “…she was in a fair way of soon knowing [the letter] by heart. She studied every sentence; and her feelings towards its writer were at times widely different. 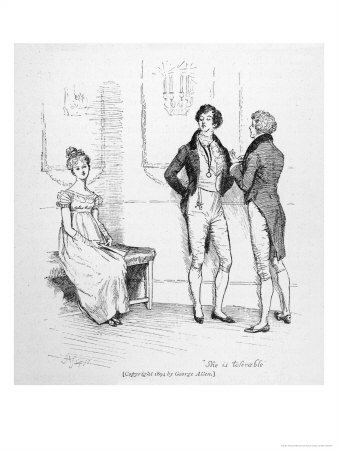 When she remembered the style of his address, she was still full of indignation; but when she considered how unjustly she had condemned and upbraided him, her anger was turned against herself…” Here, and throughout the novel, Austen never rushes to get to her point. Many years later, I am still in awe! 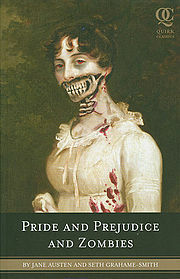 I once read a single passage of Pride and Prejudice and Zombies in a bookshop which lingers in memory and somehow makes me love Jane Austen’s original all the more. Don’t ask me if I remember it right; I don’t care. I didn’t buy the book. But what I recall is one blissful moment when Jane and Elizabeth launch themselves at Mr. Collins and tear out his throat. Isn’t that secretly what we all long for? By the time I was 12 years old I had become an ardent fan of the works of Georgette Heyer. I don’t remember if I swooned over the romance or the costume descriptions and hilarious cant, but I do remember being intrigued with Heyer’s version of the Georgian and Regency world. I was happy, therefore, to find out that there was ‘another writer’ who wrote about this time period—and one that had actually lived in it. This Jane Austen person would surely make for a fun read. I found Pride and Prejudice. I now admit, to my secret shame, that I found it overlong, too wordy, with heavy-handed irony, and rather too slow a pace. I even tried a couple more Austen’s to no avail. Fortunately I gave her one more try, this time in a literature course in college. Thank goodness! 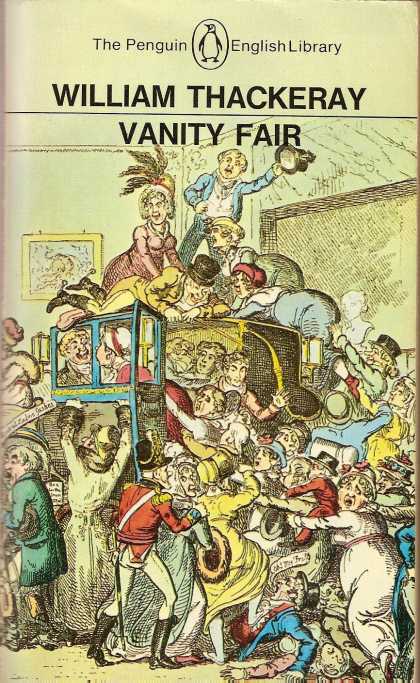 I had grown up just enough in the intervening years to realize that P&P was not long at all, had just the right amount of irony, lots more subtle wit, and was paced to perfection. My only complaint at that, and subsequent, readings was that it was too short! I could have spent much more time among the residents of Longbourn (and Mansfield, and Highbury and…). And as I am sure so many have found, subsequent readings always bring something new. I first tried reading P&P when I was in the eighth grade. I knew it was a “classic,” but I found it terribly dull. I decided to try again when I was sixteen, and this time I saw all of the humor that I had missed in my first attempt. That was it–I was hooked! It’s still my overall favorite of JA’s books. With varying degrees of intensity, all of Jane Austen’s novels are propelled by her almost unerring instinct for counter-balance in a scene. Rarely does Austen’s passionate story-telling NOT pair satire with fear, or irony with kindness, or absurdity with melancholy, or self-knowledge with self-deception. With a razor-sharpened pen and a delicately calibrated scale, Austen dissects and weighs the hearts of her characters as they do battle with the expectations of their closely-knit societies. 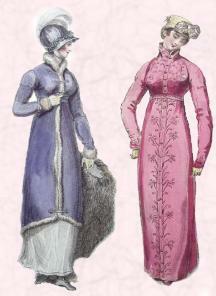 In Austen’s earlier novels, the tone tends toward lightness. Her later works more heavily embrace the seriousness of the human condition. In the deftness of PRIDE & PREJUDICE we see Austen performing her most virtuosic balancing act: each barb is followed by a balm. Because of this ameliorating rhythm, we may first worry, but we ultimately smile as we ponder her tale about the indignities faced by women who are NOT in possession of a good fortune, but who are VERY much in want of a husband. I’m not going to lie and say I loved Pride and Prejudice the first time I read it. I was a senior in high school and just didn’t get what the fuss was about. What I did understand, however, was that my English teacher loved Jane Austen. Even after I went to college and became an English major, Ms. Henry remained my favorite English teacher and her love of Austen forever put those six novels on my radar. Like so very many of us, I am indebted to a teacher’s passion and enthusiasm. 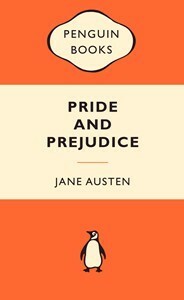 It’s true that now that I love Pride and Prejudice best of Austen’s novels and of nearly all others entirely. It has become the standard against which I compare much of what I read. I happen to love its “bright and sparkling” quality and the packed action of “one country village.” There’s something about her work that makes my life better because I’ve read it. My love for Jane Austen’s work has led me to join JASNA and to book a weekend at a bed and breakfast here in Vermont with the weekend focus of this great novel. I can’t wait to discuss Pride & Prejudice over afternoon tea and maybe play a little trivia. I get what the fuss is about, finally, and it never gets old. Mr. Collins is certainly not my favorite character (!) ….but Elizabeth, of course, is. I was moved by her strength, wisdom and insight when I first encountered her in Freshman English…and then I became an even greater admirer more than 60 years later when I made her acquaintance once again…..this time via an audio recording as I made daily automobile trips around Vermont this past summer. 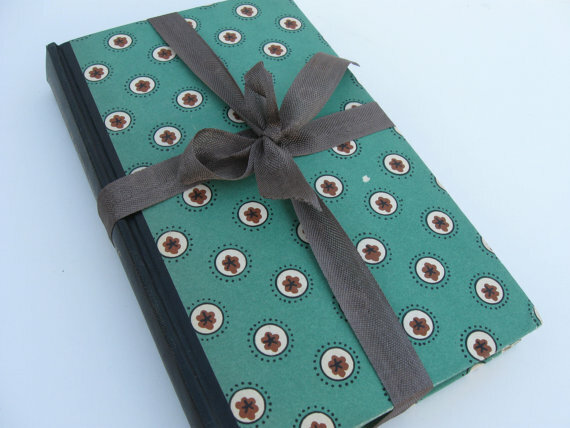 When I was twelve, my mother gave me a beautiful edition of “Pride and Prejudice” with leather ends and sprigged wall paper covers; it is charming. I read it then with the intellect of a twelve year old and re-read each year unto my current 75th year with delight, awe and the greatest pleasure. My husband, of fifty five years, held the Darcy conversation, sprightly, ironic, engaged and bountiful, to my Elizabeth, for fifty-five years. I have been enriched on both counts. Each of my granddaughters has a beautiful copy to read when she is ready. I spoke of Austen often during forty years of my teaching life. Bravo for Miss Austen. The following comments were made on the blog post on Susannah Fullerton’s new book Celebrating Pride and Prejudice, all telling of first reading Pride and Prejudice: I love all these stories! – please tell us yours! 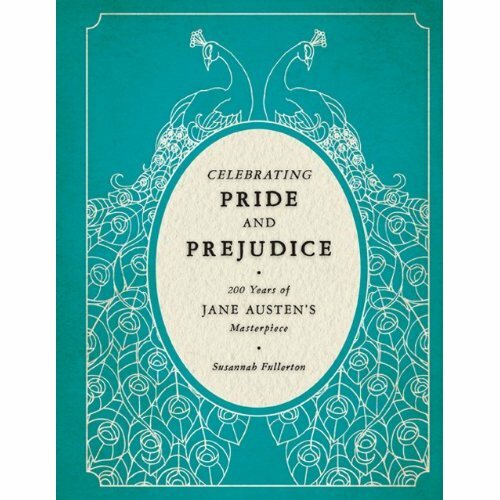 ladysusanpdx: I first read Pride & Prejudice when I was 13, when my grandmother gave it to me. 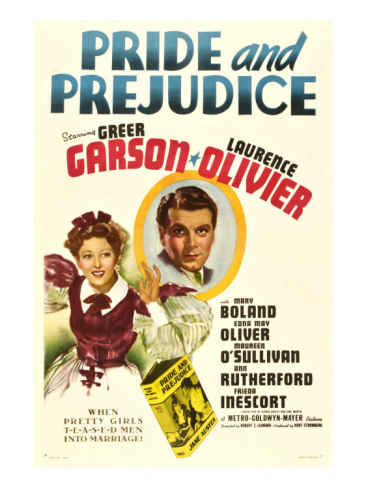 Seeing how struck I was by the story and especially Elizabeth Bennet, my father surprised me by letting me stay up very late to watch the 1940 movie version with Greer Garson and Lawrence Olivier. That was 50 years ago and it remains my favorite novel and an important part of my life. 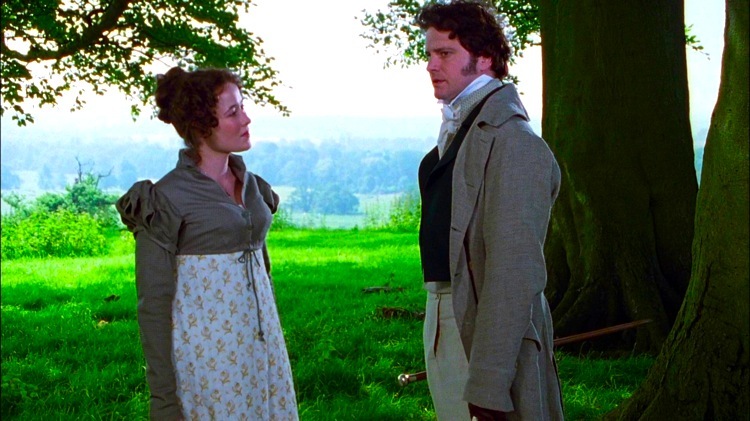 Stefanie Henry: Although I teach Pride and Prejudice every year, I never grow tired of discovering some unknown nuance, and I always enjoy the faces of my students as they fall in love. 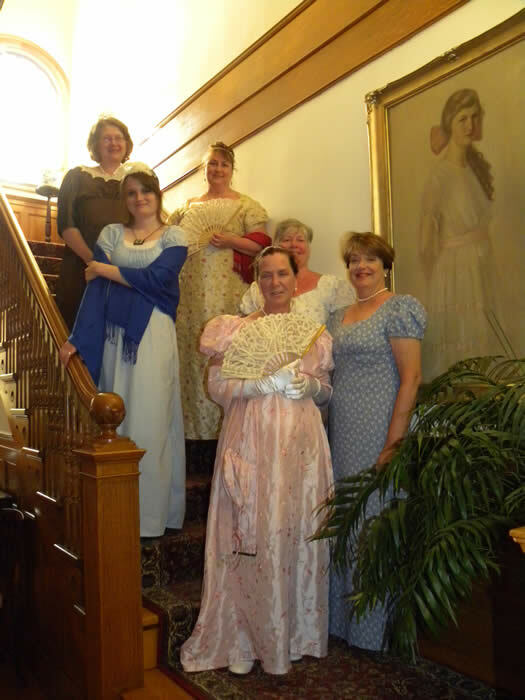 The classes celebrate Austen by preparing and dressing for high tea. Hopefully, my love of Austen will continue to inspire students to read more and more. 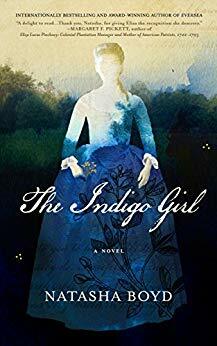 Sharon Henson: I was an avid reader from the moment that letters formed words for me, but I didn’t have to read Austen in high school–or in college. I picked up Pride and Prejudice while living in London, England, where my husband was a Fulbright Scholar. From then on I was hooked, reading the rest of Austen’s books, and seeing all of the films based on her books. I’ve read books based on her characters, and various biographies on Austen and, still, over 40 years later, can’t get enough Austen. Oloore: Actually my first experience with P&P ever was watching last 5 minutes of episode 4 in mini- series of 1995 when I was 13 or 14. Those 5 minutes intrigued me so much, that I watched all the remaining episodes and then went in search for the original. I remember reading it the same year during my summer vacation. I loved everything about the book, its plot and style, its heroes and heroines, and since that time P&P has become the best love story for me: witty, humorous, illustrative of different human characters, satisfying and with wonderful happy end. After P&P I read other works by Jane Austen, and some of them I liked, some of them I liked very much, but P&P was and still remains the best for me. 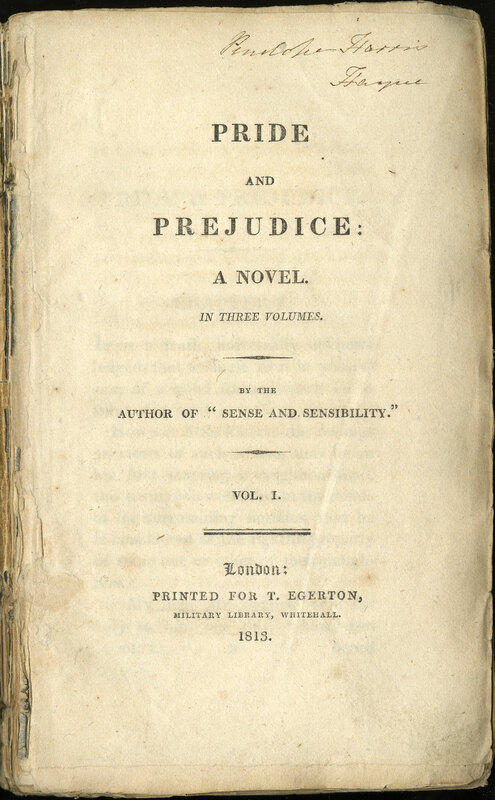 Mary Preston:I can’t remember the very first time I read PRIDE AND PREJUDICE. It’s been a very long time. What I do know is that I appreciate it more with each reading. Monica: I also can’t remember when I read P&P for the first time. 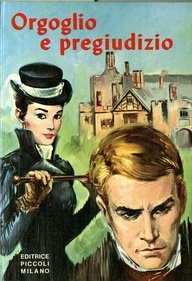 I must have been in my early teens and it was an Italian translation. Maybe it didn’t make a great impression on me then. I reread it later and read also the other Austen novels and liked them very much. I have just reread P&P to celebrate this bicentenary and am really enjoying all the attention it is currently receiving. I will definitely read Celebrating Pride & Prejudice! esolender: First time? Well, I was 15, I think, when my mother gave P&P to me for a second time — I had tried it once at 12, was too young, and left it unfinished. But this time, I read it through, loved it and then gulped down the additional five — all in one insatiable summer treat. Couldn’t get enough Jane so I read P&P a SECOND time that magical summer. But it was the THIRD reading —in college at age 17— that was truly a revelation: It was as if I were reading an entirely new and wonderful novel. That’s because I was two years older, brought more to the reading, and saw nuances and wit and wonder that I had missed the first time. It was also because Jan Ferrers Weeks (later Thaddeus) was my guide through the novel this time in freshman English at Barnard. I suspected —accurately, it turned out— that I could read it again and again with pleasure — and shall again this celebratory year. Katherine: I also can’t remember the first time I read P&P. I do remember the first time I read it critically (as literature, not strictly entertainment) – in a class on the English Novel in college. My professor considered Jane the greatest of English novelists, with which I heartily agree. I would love to have a copy of this book! Ruth B.: My friend thinks that the first line of P and P is one of the best known of all first lines. I agree with her and know that it is certainly MY favorite first line. I will be happily reading your book soon, I hope. It sounds fantastic. 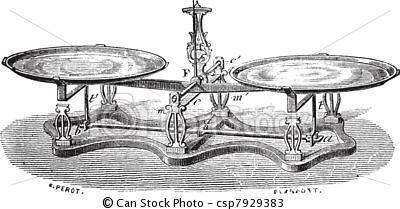 gongjumonica: A question for Susannah. If you could change a scene in Pride and Prejudice, what would it be and why? Susannah Fullerton: It has been fascinating to read about the first reading of P & P for other people. We are all so lucky to have had our lives enriched by this book. Gongjumonica asked me if there was any scene I would change. The answer is NO, I do not want to change any scene at all. I adore it just as it is. Does anyone else think any scene should be changed? I do hope that whoever wins my book loves reading it. Tiffany: I first read P&P in 8th grade… I remember desperately wanting to be a Bennet – crazy family and all. I agree with Felicia – Mr. Darcy didn’t catch on until I was a little older :). A. Marie: It was the summer I turned 16. I was at a low ebb, for various reasons: the usual too homely/too bright teenager angst, plus serious family dysfunction (frankly, the Bennets looked pretty good to me at that point). In addition, I’d just read Eugene O’Neill’s Long Day’s Journey into Night because someone thought I should, and I felt about the way anyone feels after reading that one. So I happened to pick up the battered old Everyman P&P that had belonged to my step-grandfather (bless you, Grandpa Bill, for throwing me a lifeline!). I was instantly hooked. 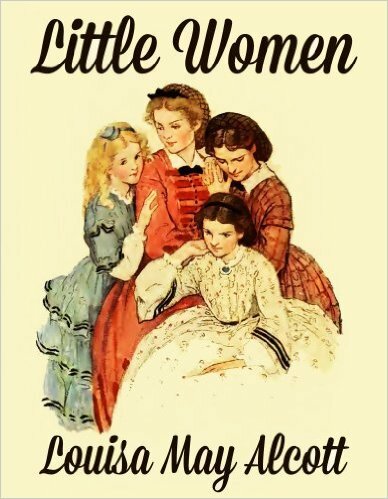 I remember thinking before I finished the first chapter, “Jeez, I didn’t know it was OK to be funny in the early 19th century,” and I finished the book before bed that night–not just to find out whether Elizabeth and Darcy finally got together, but because I was completely drawn in and along by the language. And I still am, after too many readings to count. Danielle C.: I fell in love with Austen when I was a young girl. I have found that as I got older and understood more about love and life I now fully appreciate what a great writer she was. Can’t wait to read this book. Lúthien84: My mum introduced it to me when I was 12. She borrowed an abridged edition and having nothing else to do because school’s over and it was the holidays, I decided to read it. I’m joining the P&P 200th Anniversary blog hop party organised by Alyssa Goodnight so stop by on my blog to read my experience on Monday. I’ll also be giving away a copy of an Austenesque novel. Hope to see you there. Kim W.: I came to Jane Austen late in life–I was in my early thirties when I started enjoying her movies–Emma was my first! !–and then my mid thirties when I started to read her books. Pride and Prejudice was the first book I read, which I got out of the library, and I was so surprised how easy it was to read! No memories of hard assignments by my 9th grade English teacher here!! I think that if I had met Jane earlier in life and understood her gentle sisterly advice, I could have avoided a lot of heartache. She is a truth teller even 200 years later!! Fingers crossed and Huzzah! for the publication of Ms. Fullerton’s book! 3. thoughts on your favorite character in P&P and why. Or, all three of the above! Note: I will continue to post on Pride and Prejudice throughout 2013: next up will be “Places of Pride and Prejudice: St. Clements”, so stay tuned! 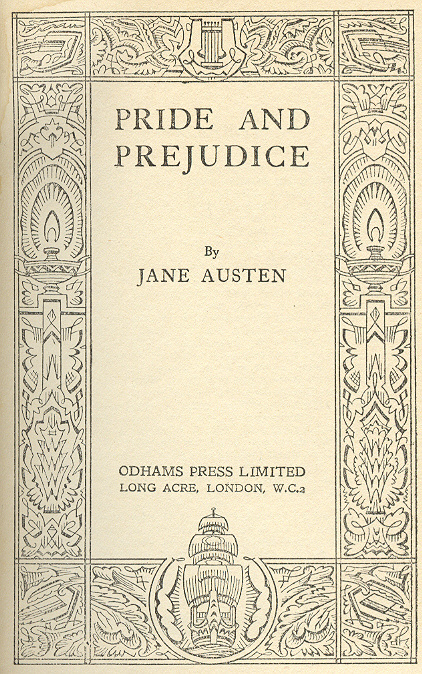 This entry was posted in Austen Literary History & Criticism, Books, Jane Austen, Jane Austen Popular Culture, Publishing History and tagged Jane Austen, Jane Austen Publishing History, Pride and Prejudice. Bookmark the permalink. What a lovely way to celebrate this 200th anniversary, Deb! I just devoured all these shared memories you collected, and so many of them resonated with me as much as their authors. I loved P&P then enough that I reread it again my freshman year in college, and then again a couple years later… escalating to a point now of an annual read. (And I’m joining you, Deb – reading it now quietly and slowly, savoring every word.) I began to understand the irony; the craftsmanship of writing; the subtle humour as well as the overt; recognized a commanding knowledge of human behaviour and the skill to write of it such that ‘real’ people jumped off the page. Forty-seven years after my first reading, my current one is just as rewarding — and in every reading, I never fail to notice some nuance or detail either for the first time or in a fresh way. 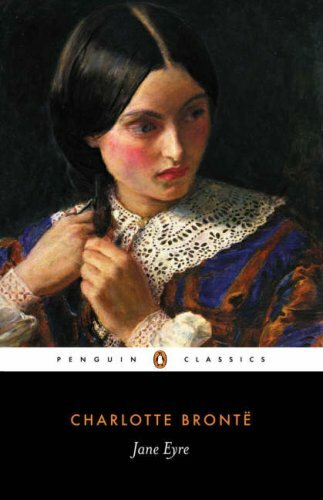 I enjoyed over time reading her other works, and if I’m a bit objective I have to confess I think Persuasion the best of the books overall. But my heart will always hold P&P as my favorite — because it was the first, because I was an impressionable barely-teen, because of Mr Darcy… and once I understood it all better, because of Elizabeth Bennet, whom I no longer think is mean. Thanks for stopping by Tess! I don’t remember my first reading of P&P, but I was certainly in my 30s and had embarked on reading some of the classic literature omitted from my education. I fell in love with the book and with Jane Austen with that reading. Subsequent readings are like visiting an old friend who, even though you know the same things will be said over and over, you never tire of the stories, learn something new with every visit and love the friend even more. My favorite reading of P&P was when I introduced the book to the man in my life by reading it aloud to him. As a normally fast reader, I found new joy in the slow pace of reading aloud, and in sharing my love of the book with a first timer. While I always loved Austen’s use of language, I think I truly experienced the wonderful sentence structure by reading aloud. Another important Jane Austen moment in my life was when my son called me from college to talk about Austen and P&P and about how many of his fellow students just didn’t get the humor!! I smile every time I remember that call and feel an unreasonable sense of pride that I passed my love of Jane Austen not only to the next generation but to, dare I say it, a boy! To my wonderful friend who inspires me with your annual re-read of Austen – I love that both our kids were the only ones in their classes to know that Austen was FUNNY! That was my daughter, but I am proud of the fact that my son lists P&P as one of his favorite books on his facebook page! We must have done something right! Reading aloud is how it was meant to be read – like Shakespeare – Austen knew that and now so do you and the man in your life! It’s so wonderful to have so many sharing their experiences with P&P here! And I agree Jane Austen’s P&P is the Christmas dinner to which others are appetizers. Glad I hopped n over to have a read. And I love all the book covers and pictures. My first exposure to Ms. Austen was catching the scene of the BBC miniseries of Sense and Sensibility where the doctor is telling them Marianne is sick and they need to get the baby out of the house which causes Mrs. Palmer to scream. I watched everything I could fine related to her after that! My first time reading an Austen novel was P&P about 4 years later. I read an abridged version and thought it was the real thing! I then listened to it on tape and missed huge plot points! I finally finished it 6 years after staring the abridged version. I loved the relationship between Elizabeth and her Aunt but I had missed it in all of my other “readings” and viewing of the films. Love this scene with Mrs. Palmer screaming! – pure insanity! 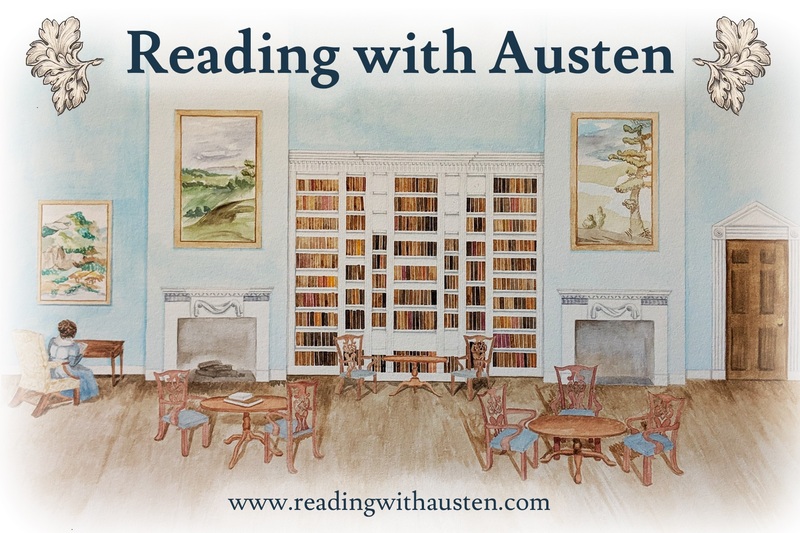 It is amazing the things we miss and how another viewing or another read fills in spaces we didn’t even know were missing… wonderful how you have found Austen in your life – thanks for sharing here! Thanks Arti for adding in your own thoughts – it is fun to read others’ exeriences on first reading P&P – and how most have never forgotten, often a life-changing event – the movies are easier to remember the effect, especially with Colin Firth added to the equation!